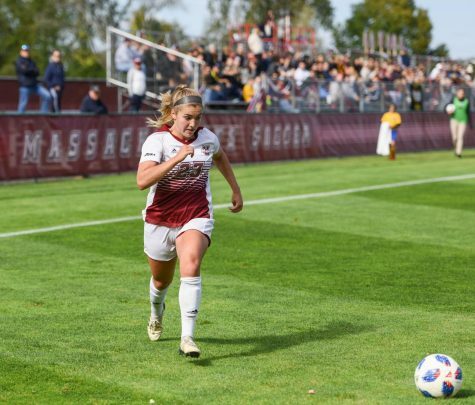 Between a new coach, new players (or returning players who were out last year) and a new season, Massachusetts women’s soccer coach Angela Napoli hopes the changes during the off-season will bring her team a different result than in recent years. The Minutewomen will add midfielder Meghan Gould and forward Sydney Stoll back into the mix after missing last year due to injuries. “I think Meghan and Sydney coming back will provide us with a great impact especially because they’re both just itching to get back on the field,” Napoli said. 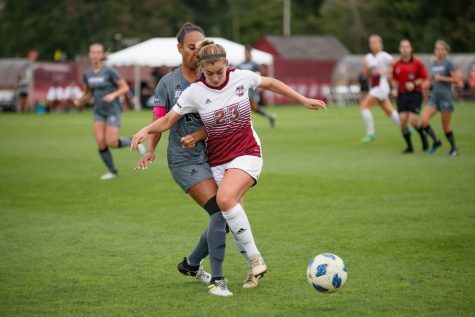 Stoll, a redshirt junior, has a strong career at UMass so far despite battling injuries throughout her tenure. As a sophomore in 2007, Stoll started the first eleven games, and despite missing the remaining six games, she still finished second on the team in scoring (15 points, six goals). Gould, also a redshirt junior, started in 13 of the 14 games she played in 2007 before getting injured. 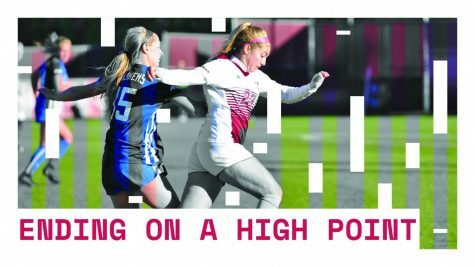 She finished with 14 shots – six on goal. 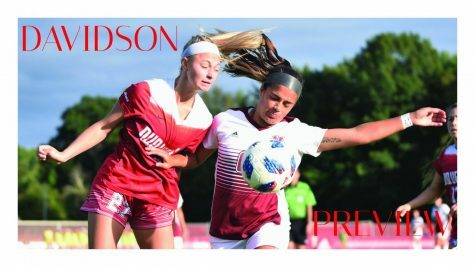 Aside from their returns, the Minutewomen brought in four freshmen this year including goalkeeper Emily Cota, defender Jess Howe, midfielder Meredith Fox and forward Jenna Goodwin. Fox and Goodwin will likely see limited playing time, but Napoli believes that their presence off the bench will be solid, praising their athletic ability and vision of the field. Emily Cota will see limited time as well, backing up veteran goalkeeper Lauren Luckey. 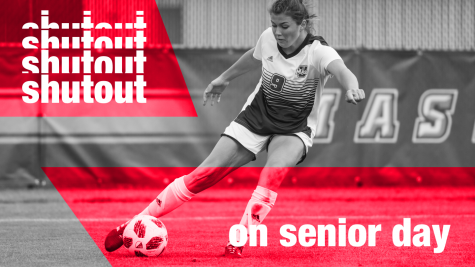 The success of this season relies heavily on the veteran players, especially after losing Tina Rodriguez, Amy Ballew, Vanessa Lima and captain Vanessa Patry [CHECK THIS] to graduation. Offensively, the veteran forwards and midfielders need to step up. Junior midfielder Therese Smith will play a key role in the Minutewomen offense this season. Of the players on the active roster, Smith was second in scoring (three goals) and assists (two) last year. 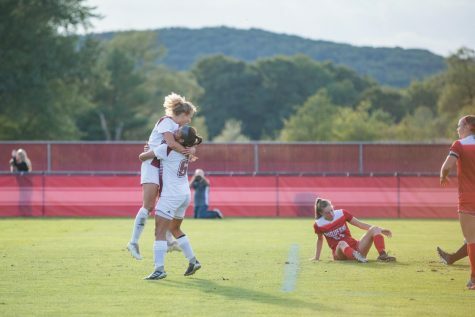 The only other Minutewoman to score a goal (one) was senior Christina Adams. Joining the attack this year will be junior Kelsey Anderson, who also plays midfield and defense. Although Anderson scored no goals last season, her contributions offensively did not go unnoticed. She was one of six Minutewomen to start every game, while picking up two assists and 17 shots. 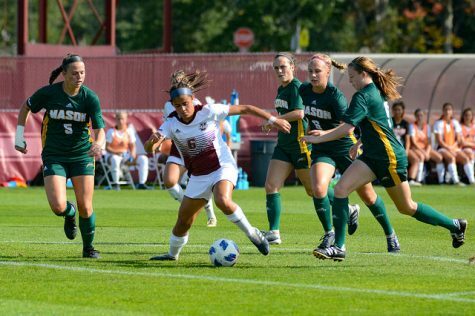 Muka, a sophomore forward, played the second most time as a freshman behind Meghan Collins. Despite failing to record a point, Muka was frequently in the middle of offensive opportunities, registering 17 shots – 10 of which were on goal. 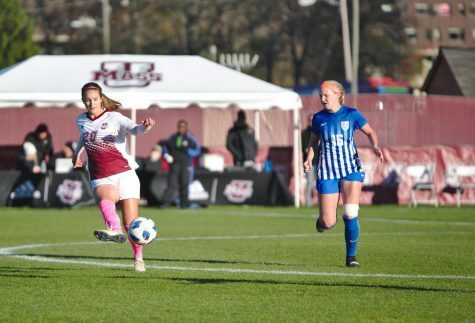 The freshman who made the biggest impact last season was Collins, who notched two assists, making her the only freshman to record points in 2008. Rounding off the offense will be redshirt freshman Amanda Carvalho, senior Jacquelyn Desjardins, junior Ashley Hamel, senior Katie Ruggles – who also plays defense – and sophomore Lauren Yelinik. Last year’s defensive had bright spots, despite being out-shot by 97 goals. The Minutewomen recorded five shut-outs when junior Alyssa Visconti teamed with now-graduated defenders Rodriguez and Melissa Toulouse. Napoli is looking for improvements on both sides of the ball for this year’s team. 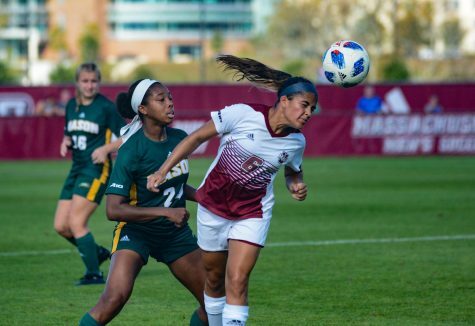 UMass must also improve its away game, where it won one of nine conference games. 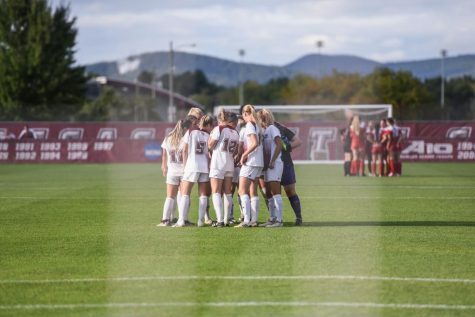 Despite questions surrounding the team and a new coach at the helm, the Minutewomen still have the same goal in mind, one that eluded them last fall: reach the Atlantic 10 Tournament.